Preciosa Czech glass seed bead, size 5/0 Dark Red silver Lined, approximately 4.5mm Czech glass rocaille bead. Strong in colour, this dark red bead adds depth, richness and complexity, creating a multitude of combinations that blend beautifully, unifying its surrounding elements and bringing toned balance to the design. The 4mm size of this glass rocaille bead means that its rich dark red colour has impact, but is not excessive. 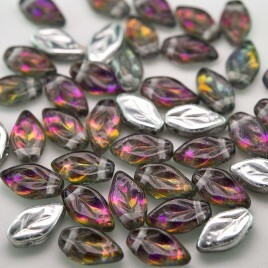 Works well for jewellery making as well as using for knitting or fabric embellishment.